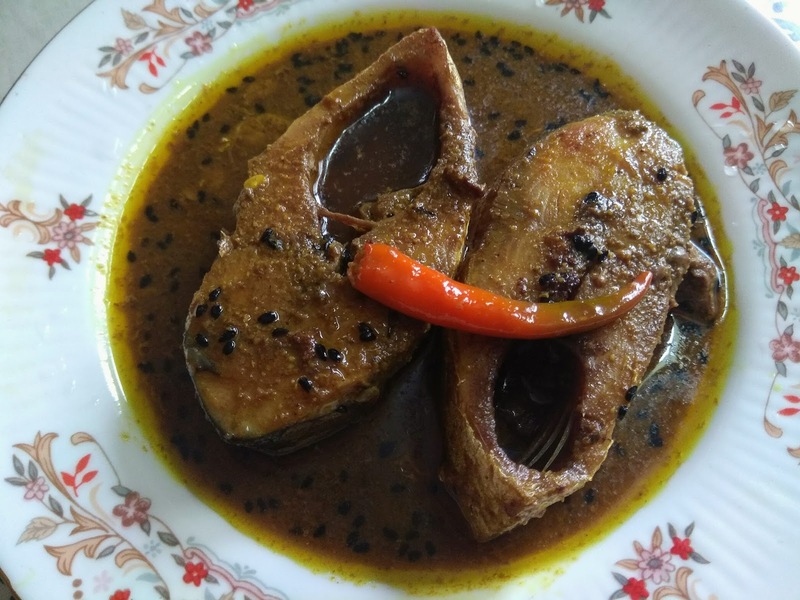 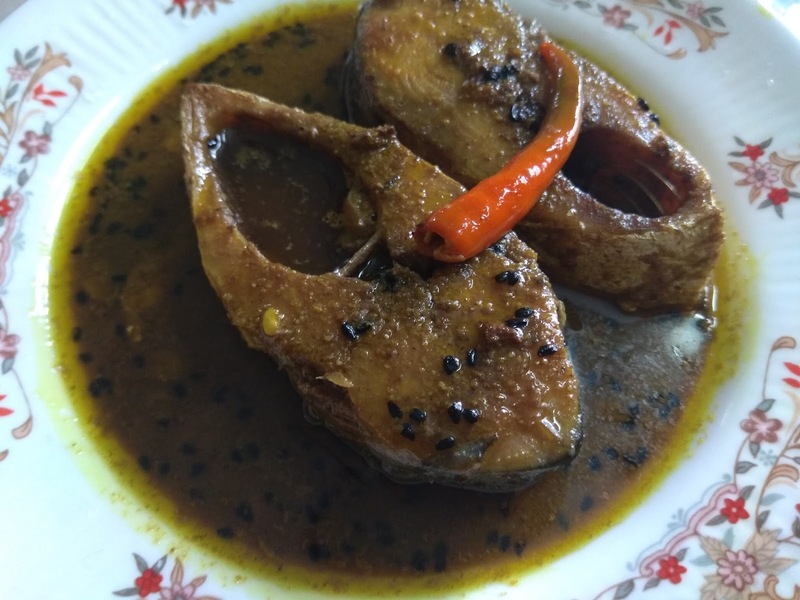 This is one fish that the entire state of West Bengal can vouch for.The Hilsa is also a favourite among the other eastern states of Assam ,Orrissa and Tripura too. 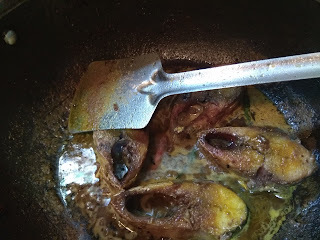 Beside it's taste the Hilsa is rich in Omega 3 fatty acids ,and so adds to the nutritional value. 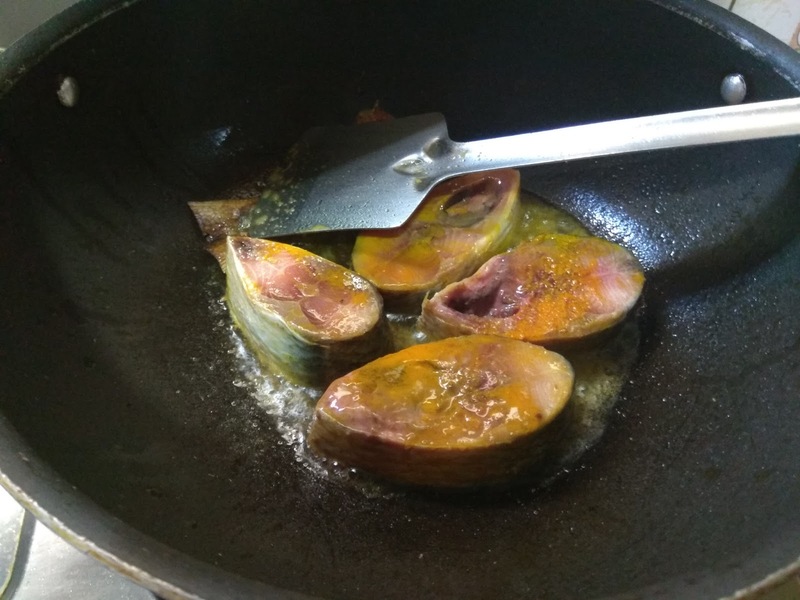 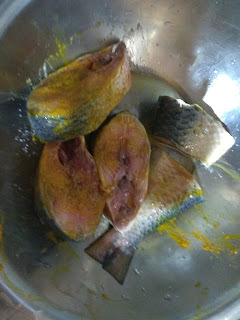 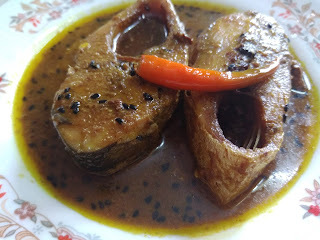 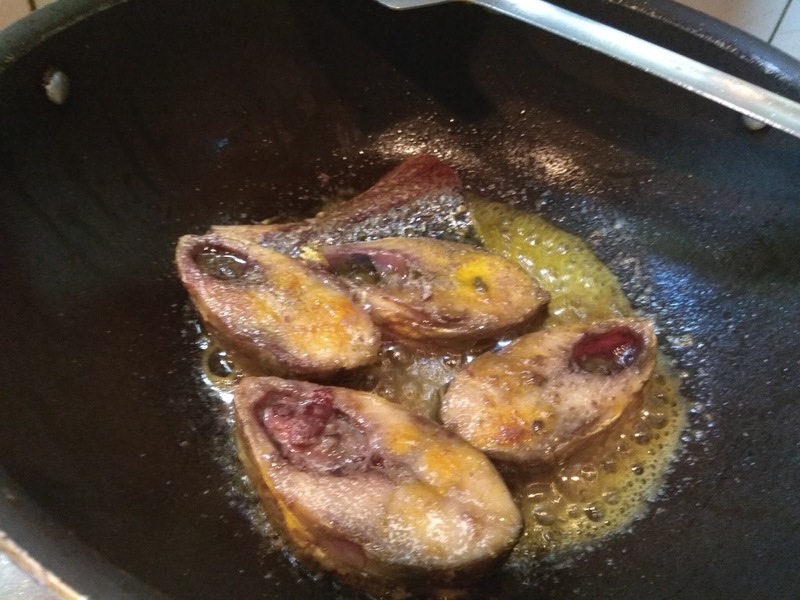 The Hilsa is cooked in varying ways depending on ones preferences.Some cook it wrapped in plantain leaves,while for others ,a gravy cooked with potatoes and eggplant is the favourite.A gravy cooked in mustard paste is also an all time favourite.This fish is so loved that even the roe is cooked into many delicacies.In fact people wait year long for the monsoon months to get the taste of freshly caught Hilsa. 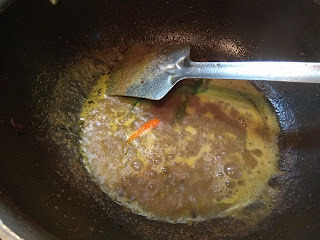 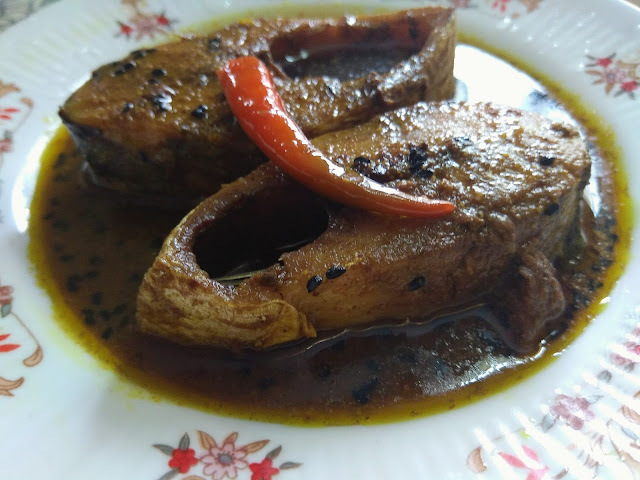 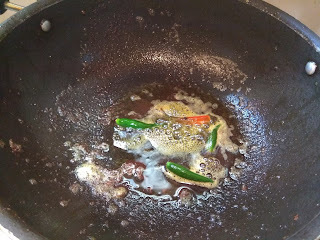 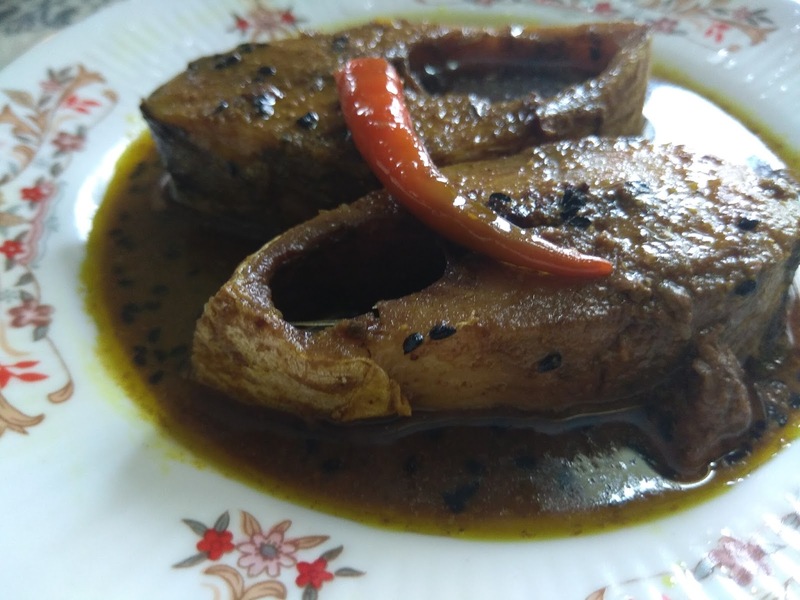 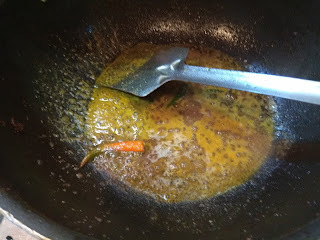 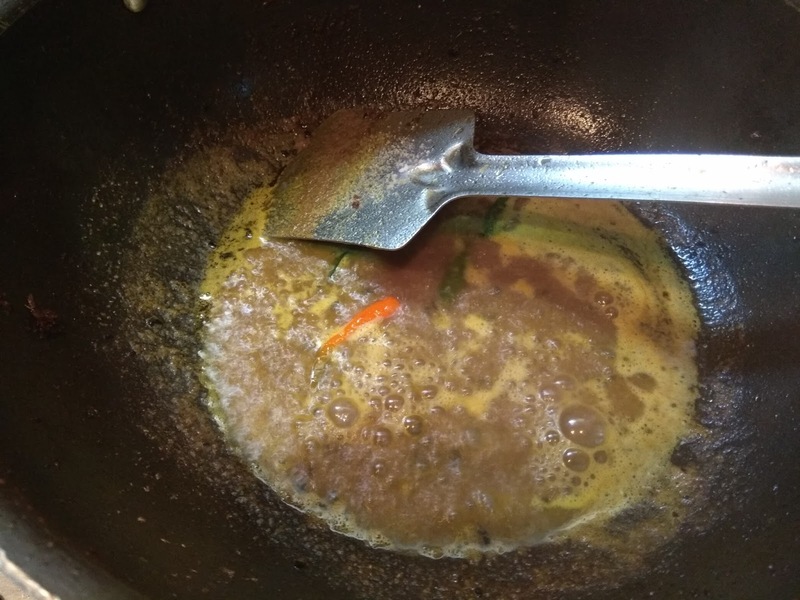 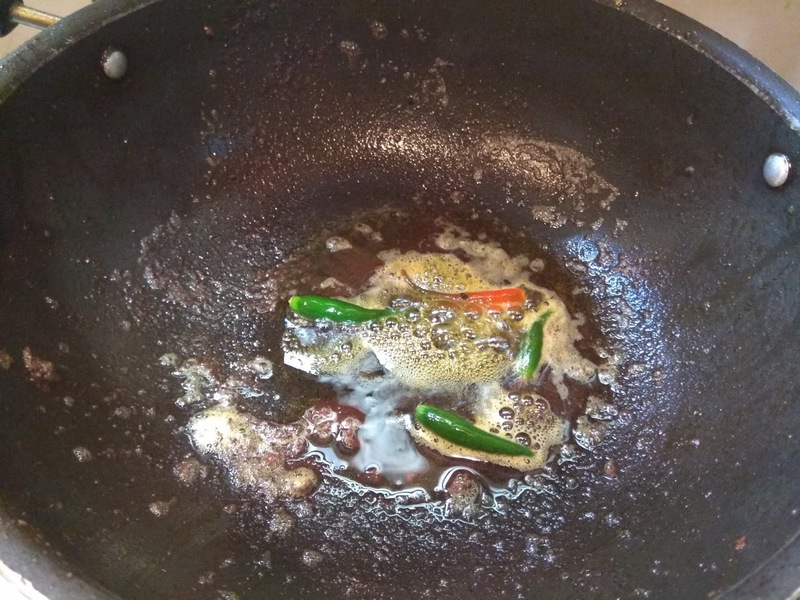 I am sharing here a very quick to prepare gravy of this fish,which is very mildly flavoured,allowing the distinct flavour of the fish to dominate.This recipe requires very few ingredients and can be prepared in about 10 minutes.This is best enjoyed with plain steamed rice. 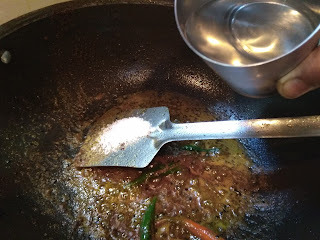 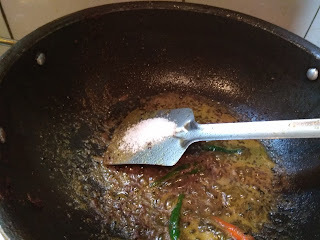 This gravy tastes best when not too thick.So no binding agent is required for the gravy.You should get a transparent oily gravy for the perfect authentic taste.